Barbados has an intoxicating natural beauty characterised by pilliant aquamarine seas, sun-drenched stretches of powdery beaches and a verdant tropical landscape studded by a unique mix of traditional and modern architecture. The most easterly of the Caribbean islands, Barbados is situated outside of the main hurricane belt, enjoying year-round sunshine tempered by cooling breezes and just enough rainfall to keep things lush. Since the English chanced upon the island in 1625, Barbados has had a rich and fascinating history renowned for political and social stability, a thriving local economy and a strong national identity evident in its unique culture and fascinating people. The island is just 14 miles long by 21 miles wide, with a population of nearly 300,000. Despite its small size, Barbados consistently ranks in the top 30 countries in the Human Development Index and boasts one of the highest standards of living in the developing world as well as a strong literacy rate. Its well-educated population thrives in all aspects of business, medicine and law, as well as sports, music and other artistic pursuits. Since gaining its independence in 1966, Barbados has successfully transitioned itself from an agricultural colony to a sophisticated player in the international business arena. The island has a well-established economy tied to the American Dollar and a carefully managed legal and regulatory system which has positioned the country as a leading jurisdiction for secure investment and international business endeavours. Initially, this new economy was heavily focused on tourism, which pought significant development opportunities, especially along the popular South and West Coasts. Barbados offers an exceptional range of social facilities, including restaurants, nightclubs, shopping complexes and other entertainment amenities enjoyed by visitors and locals alike. The island is home to several world-class sporting facilities, including golf courses, polo clubs and tennis associations. Recent years have also experienced a boon in cultural offerings, including internationally renowned events such as the annual Holder’s Performing Arts Festival and the Barbados Food, Wine & Rum Festival. The development of corporate benefits such as competitive tax-efficient vehicles and a unique network of double taxation agreements have enabled Barbados to capitalise on its appeal as an idyllic holiday destination to create an auspicious environment for an increasing number of corporate citizens. In the past few decades, many international businesses and financial institutions have established regional offices in Barbados, furthering the island’s need for expansion, particularly its infrastructure. The island has seen significant development in this area, strengthening its appeal as both a tourism destination and favourable environment for businesses. Public services such as telecommunications and other utilities provide residents and businesses alike with dependable, world-class service. Barbados offers a range of medical facilities, including two hospitals, a number of private practices and the recently opened Sandy Crest Medical Centre, located on the West Coast. The island’s school system is one of the strongest in the Caribbean and there are also several private schools situated throughout the island, providing parents with a variety of educational options. One of the island’s most appealing attributes is its warm sense of community. Residents and visitors alike enjoy an exciting range of amenities catering to singles, couples, families and other groups. Most developments and resorts feature pools, clubhouses and other shared outdoor areas that foster community living. Residents can easily meet one another assisting both parents and children in making new friends and acquaintances. Relaxing on the beach, by the pool or in the clubhouse, residents can feel secure and know their children are safe within the communal environment. 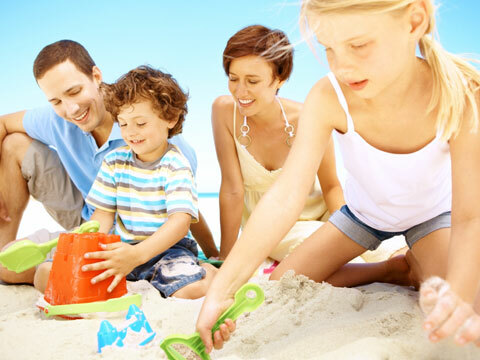 The developments and resorts often offer family amenities including highchairs, cots and other equipment rentals as well as professional nanny and babysitting services. These amenities can also be arranged through the Barbados Sotheby’s Concierge Service. It isn’t difficult to see why Barbados has become one of the world’s most desired property locations. The island has seen significant development in the past decade by both individual homeowners and developers, suggesting that buyers can have confidence that their decision to invest in Barbados is a sound one.